I was so happy to see this 266 going so well, and I really fell in love with the “golden age” movements that these are part of. So robust and keeping time like never before. The slow 18k beating makes them sutch laid back creacheres, as if time doesn’t move as fast for them as “ordinary” watches. 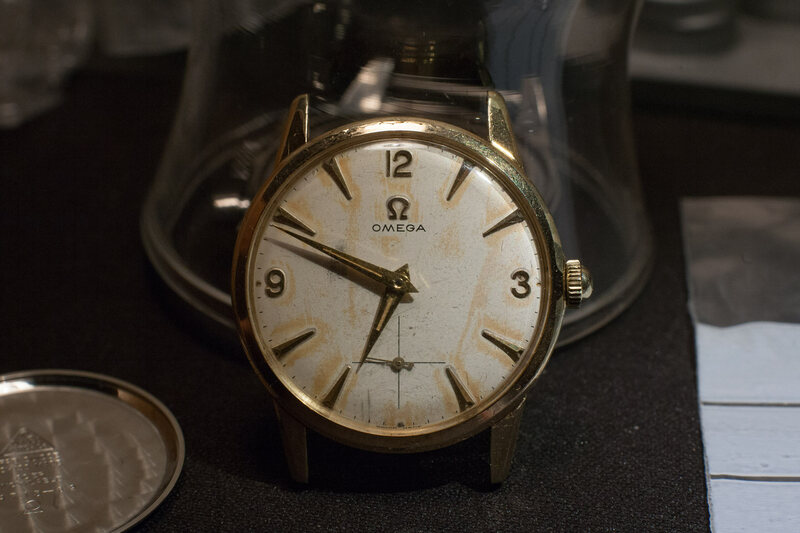 I went ahead and bought a well worn gold plated omega from around 1960. The base metal is seeping out where the gold has been worn down, and that just isn’t very appealing is it? 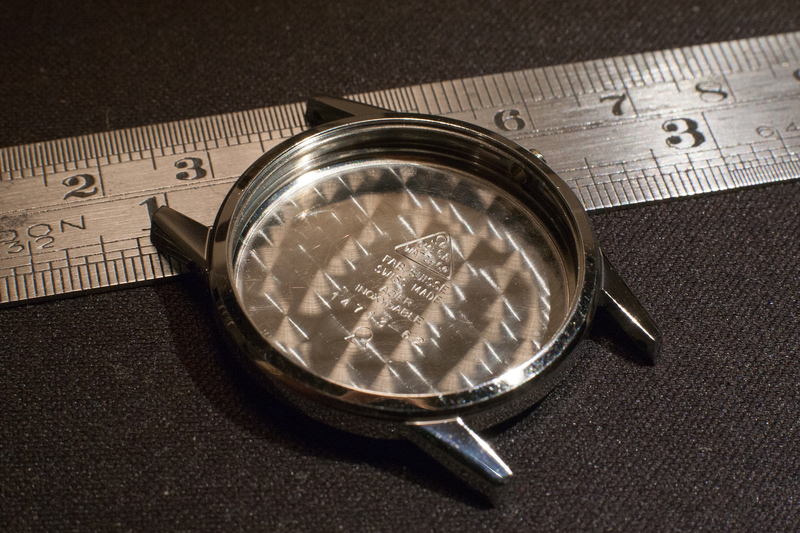 The case back had a reference 14713, and so I managed to source a brand new stainless steel case with the same reference in Germany. It arrived really fast, so here you see it. In one way it is sad that manufacturers make gold plated watches at all. They get worn and when the gold starts wearing off the watch really loses its glory and value. Of course the upside is that they become available to someone like me. This one had a tarnished dial as well, and I seriously consider sending it to Spain for refurbishing. I have found a company there whom I would like to try for quality. The dial is a Seamaster 30 dial. Lovely dial, but a “franken” for this case! 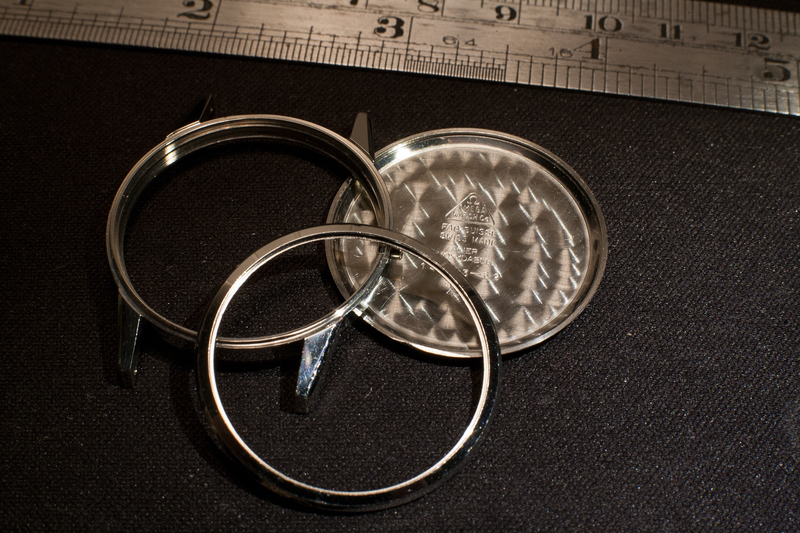 The term “franken” is often used about privately modified watches using genuine parts. 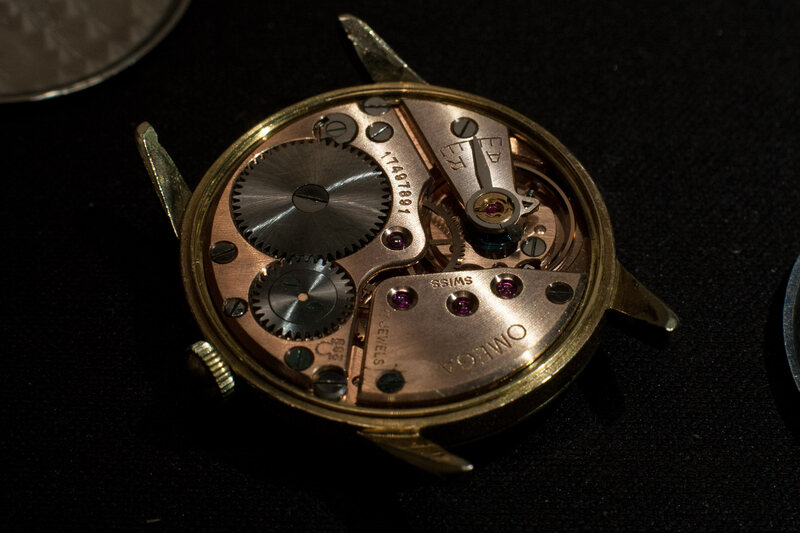 This dial belongs on a caliber 269 movement, and should be cased with a screw down back cover. 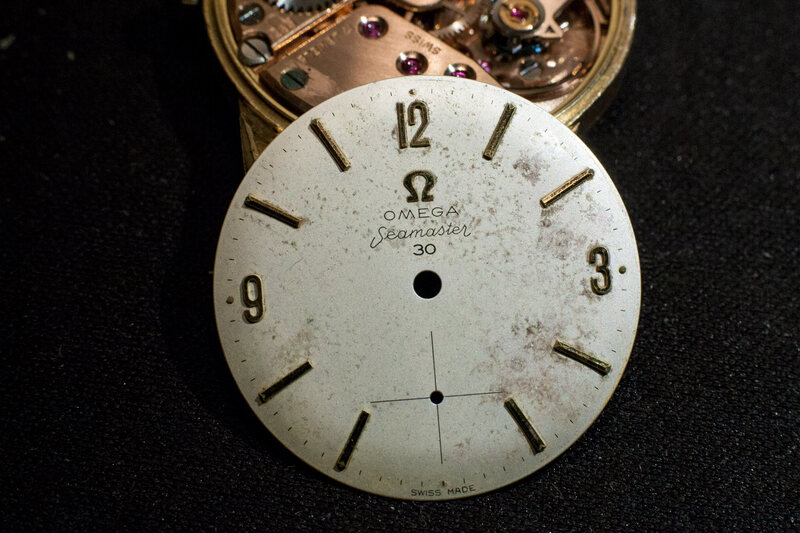 It does not matter for a nice vintage watch, but it matters a lot for a collector’s watch. 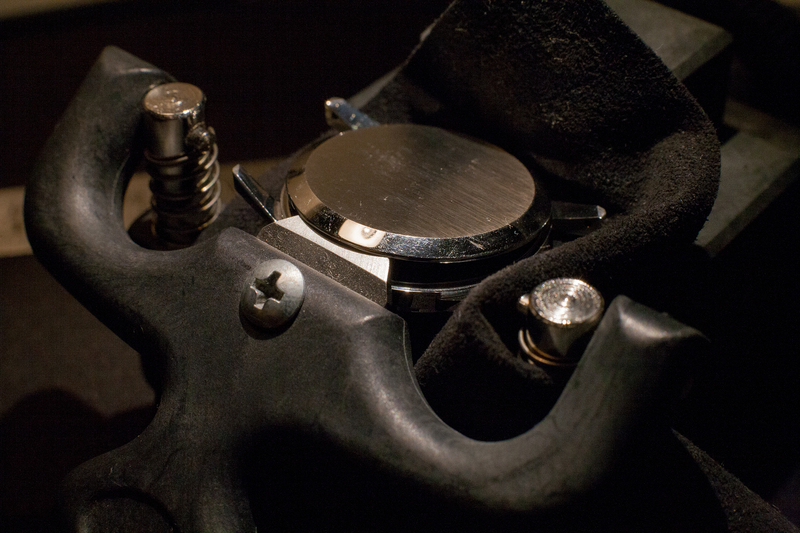 I guess having swapped case from gold plated to steel, I have already “frankenized” this one you may argue. Still I am not sure, as the cases have identical reference numbers. I will call it upgrade or even restoration.